HOW MANY DESSERTS DO YOU OFFER? If there is one thing we know, it’s sweet stuff and lots of it. We make cakes, cupcakes, French macarons, coconut macaroons, cake pops, giant gourmet cookies, and more – we’re always adding new things! If it’s a sweet, chances are we’ve made (or can make) it. Drop us a line to see if your desired treat is within our capabilities. SHOULD I REFRIGERATE MY TREATS? Treats are best served at room temperature. French macarons can be refrigerated if not immediately consumed and removed one hour from the fridge before enjoying. HOW LONG WILL MY DESSERTS KEEP? All desserts are best the day they are purchased, since we bake fresh daily. We recommend enjoying most treats within 24 hours. If you’d like to enjoy them longer, you may want to store them in an air-tight container for 1-2 days at room temperature. We do! Please email Contact@SilverSpoonBakery.com or call us for more info. We usually ask for orders at least 48 hours in advance, but can usually make exceptions if we have the time to make them. We always find a way to say yes! DO YOU OFFER DESSERT BARS FOR MY WEDDING OR SPECIAL EVENT? We certainly do, it’s our specialty! With so many choices of customizable desserts we can create a stunningly sweet masterpiece that your guests will be talking about for days. Please visit our weddings page for more information. Because all of our weddings are customized and priced individually based on the complexity of their design, we do not have a standard price list. Please contact us for more information or to schedule a consultation. DO YOU MAKE GLUTEN-FREE, VEGAN, OR SUGAR-FREE DESSERTS? 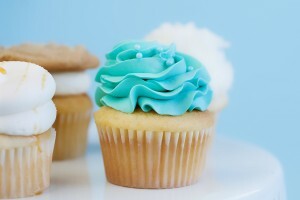 Yes, we currently offer vegan, gluten-free and sugar- free cakes, cupcakes, and cake pops. Please inquire for specifics. All of our French macarons are naturally gluten-free. Our kitchen prepares food that contain nuts, dairy, eggs, and wheat. We cannot guarantee that a product has not come into contact with these allergens, however we do take special care to ensure items are sanitized. CAN YOU HOST MY EVENT AT SILVER SPOON? Yes! We would love to host your event! We offer a discounted room rental fee when you order your cake and desserts through us, and our professionally trained hospitality staff and chefs are available to make your event the talk of the town! CAN WE HAVE SOMETHING IN ADDITION TO DESSERTS AT OUR EVENT? Yes! We can cater your event any way you’d like, from grilled cheese to grilled scallops, from paper plates to fine china, we will customize your event to your needs! IS ALCOHOL ALLOWED AT OUR EVENT? Yes! We have a full liquor license. Private bartenders and waitress service are available for all events for an extra charge. I HAVE AN IDEA FOR A FLAVOR, WHERE SHOULD I SEND IT? Sweet! We love new ideas. Please send it to Contact@SilverSpoonBakery.com.